MEMBERS of LPCA get a DISCOUNT! Allowing associations to once again offer Special Group rates to members is being debated in Congress. Make sure your Membership is up to date so you receive the notice of the pending new Law on Health Insurance. Professional Liability Insurance is available through CPH & Associates with a discount for LPCA members! NOTE: In fifteen (15) years of working with CPH & Association, LPCA has not received one single complaint. 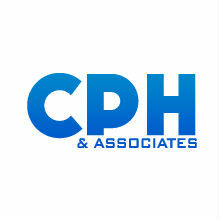 We have received feed-back about the support our members have received from CPH & Association. Worried about saving ?, CPH is competitively priced and when you need help, remember an attorney can cost up to $450 an hour. HEALTH INSURANCE: Call Craig !